Upon the request from our China customers, we added a new method to pay for hosting services — Alipay. The method is supported only when you purchase a dedicated or virtual server for euros or US dollars. When you add money to your balance please choose Bank Cards and Alipay and click Pay. After that a personal QR code for paying via Alipay will be displayed on the webpage. 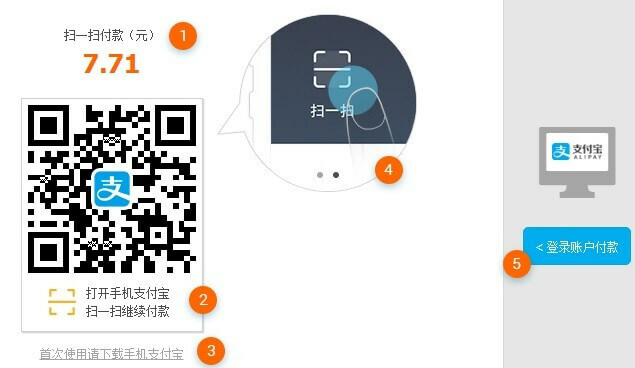 Open Alipay app on your phone and click Scan to finish the payment. Scan to pay (in RMB). Open Alipay mobile app and scan to pay. If paying for the first time, install Alipay app. Login to Alipay account to pay. You can pay for any server via PayPal, bank transfer or bank card.